Drought isn’t the only danger to our water supply, as we have discovered in the last few weeks. Deep under the ground, our life-saving aquifers have been filling up from the rain. But on the Oxnard Plain, oil drilling threatens what we’re working so hard to protect. Regulatory efforts to protect groundwater quality in western Kern are forcing two of the county’s largest oil producers to spend many millions of dollars over the next several years moving or reworking dozens of disposal wells and other critical oil-field infrastructure. The ominous climate change report the Trump administration released on Thanksgiving weekend could provide legal ammunition for states such as California, which are suing or threatening to sue the federal government over weakened regulations on fossil-fuel industries, automobiles and other contributors to a warming climate. The parade of trailer trucks rolling through Jay Butler’s dusty ranch is a precursor to a new fracking boom on the vast federal lands of Wyoming and across the West. … Like the acreage offered for lease, the acreage actually leased by energy companies on federal lands hit its highest level last year since 2012, the height of the initial fracking boom in the United States. You won’t be seeing much of California’s gubernatorial candidates this fall — at least, you won’t be seeing much of them together. The only debate between Democrat Gavin Newsom and Republican John Cox took place on KQED’s Forum radio program Monday. Prompted by host Scott Shafer, the two had a lengthy exchange about the state’s approach to climate change. A Canadian energy company will add to its helium operation with more than 3,000 acres of newly leased federal land near Petrified Forest National Park in northeastern Arizona. … Several rivers and streams flow near the leased parcels and empty into the Colorado River, which supplies water to 40 million Americans. Protect Monterey County, the organization that backed a 2016 anti-fracking ballot initiative called Measure Z, announced it filed an appeal this week challenging a judge’s ruling that invalidated part of the ordinance. California’s attorney general sued the Trump administration yet again Wednesday, this time for rolling back a fracking rule that the state says is designed to protect public health and the environment. The suit challenges the federal Bureau of Land Management’s move against the rule that requires drilling companies to disclose what chemicals they’ve used for fracking. During the U.S. Climate Action Pavilion in Bonn, Germany, on Nov. 11, Gov. [Jerry] Brown presented America’s Pledge report detailing how U.S. cities, states and businesses will take action on climate targets it set forth in the Paris Agreement. … But Brown was interrupted by members of the Native American community speaking against his support of fracking and contending that his policies have hurt low-income communities. Attorneys on all sides began presenting their cases on the first day of the Measure Z trial on Monday, arguing over whether the voter-approved initiative establishing some of the nation’s toughest oil and gas restrictions is preempted by federal and state authority. … They [oil industry attorneys] argued the Measure Z campaign had misled voters into believing the central issue was fracking and water protection without fully addressing other aspects of the initiative. Before leaving town, the U.S. Senate handed President Donald Trump and the oil industry two long-sought regulatory appointments that could expedite construction of natural gas pipelines nationwide. The Trump administration is asking three federal appeals court judges in Denver to hold off on a decision regarding a major federal fracking rule implemented by the Obama administration. … as the [Interior] secretary [Ryan Zinke] hopscotches across millions of acres of Western parks, monuments and wilderness with his Stetson-sporting swagger, a crew of political appointees in Washington has begun rolling back the conservation efforts put in effect over the eight years of the Obama administration. … Mr. Zinke’s staff on Tuesday filed a legal proposal to rescind the nation’s first safety regulation on hydraulic fracturing, or fracking. Over the past decade, innovation has upended the energy industry. First came the shale revolution. Starting around 2005, companies began to unlock massive new supplies of natural gas, and then oil, from shale basins, thanks to two new technologies: horizontal drilling and hydraulic fracturing (or fracking). Eminent domain is often used by governments to gain right-of-way for projects such as highways or government buildings. But state and federal regulators who authorize pipeline projects also typically grant the private companies that are building them the right to use eminent domain to secure needed right-of-way. Gov. Jerry Brown was on a roll, enthusiastically preaching to a choir of environmentalists about how carbon use and global warming are a looming catastrophe for California and the world. … But a growing number of environmentalists argue that the governor’s long-standing refusal to ban hydraulic fracking, a controversial process that has helped revive the oil industry in California, opens the state to just the type of environmental disasters he regularly rails against. The Trump administration is rolling back an Obama administration rule requiring companies that drill for oil and natural gas on federal lands to disclose chemicals used in hydraulic fracturing, better known as fracking. The suit argues that the U.S. Department of the Interior and two of its agencies, the Bureau of Ocean Energy Management and the Bureau of Safety and Environmental Enforcement, failed to fully analyze and disclose the potential environmental risks of new offshore drilling processes like hydraulic fracturing, also known as fracking, and acidization. State Attorney General Kamala Harris and the California Coastal Commission have filed a lawsuit challenging the federal government’s finding that fracking off the state’s coast is environmentally safe. Is hydraulic fracturing – better known as fracking – safe, as the oil and gas industry claims? Or does the controversial drilling technique that has spurred a domestic energy boom contaminate drinking water, as environmental groups and other critics charge? With the passage of Measure Z, which has captured nearly 56 percent of the vote so far, Monterey County would become the first oil-producing county in California to ban fracking and expansion of risky oil operations. … Monterey County, which ranks fourth statewide in oil production, becomes the sixth county in California to ban fracking. Environmentalists declared victory early Wednesday on a nationally watched campaign to ban fracking, the controversial oil drilling technique, along with all new oil drilling, in Monterey County. A judge ruled Tuesday that federal regulators lack the authority to set rules for hydraulic fracturing, dealing another setback to the Obama administration’s efforts to tighten how fossil fuels are mined. Reversing course on conducting a series of impact studies, the Board of Supervisors on Tuesday agreed to place a proposed ban on hydraulic fracturing and other oil and gas well stimulation techniques on the fall ballot. Bernie Sanders, traipsing across far-flung regions of California as he seeks a comeback victory here next week, swatted at likely Republican presidential nominee Donald Trump for minimizing the state’s water shortage and the effects of climate change. U.S. Senate candidate Kamala Harris said Saturday that she is “very skeptical” of hydraulic fracturing, while stopping short of calling for a moratorium. Backers of a proposed initiative aimed at banning fracking and other oil and gas exploration practices announced Thursday their petition signatures have been verified and deemed sufficient by the Monterey County registrar of voters just days after the Board of Supervisors ordered impact studies on the initiative. Environmental groups sued the Environmental Protection Agency on Wednesday to force new regulations on the disposal of waste generated by hydraulic fracturing. The future of federal rules aimed at protecting land, water and wildlife from energy-production practices including hydraulic fracturing now rests with a judge in Wyoming. Hoping to expand on similar bans already in place in Santa Cruz, San Benito and Mendocino counties, environmentalists on Tuesday launched a ballot campaign to prohibit fracking in Monterey County, setting the stage for another expensive battle with the oil industry over the controversial drilling technique. For years fracking in waters off California was quietly approved without public notice or studies on potential risks to human and environmental health from tons of toxic chemicals used in the intense oil-extraction process. The federal government has agreed to stop approving oil fracking off the California coast until it studies whether the practice is safe for the environment, according to legal settlements filed Friday. State regulators are investigating whether the controversial drilling practice of hydraulic fracturing, or fracking, contributed to the massive natural gas leak near Porter Ranch. Colorado’s loud public battle over fracking goes before the state Supreme Court on Wednesday when the justices hear arguments about whether local governments can ban the technique. Gov. Jerry Brown arrived in Paris Saturday to attend the international climate summit. His schedule includes 20 meetings over five days with world leaders. The rules should be allowed to take effect to protect land, water and wildlife from practices including hydraulic fracturing, the Sierra Club and others argue in court documents. As Gov. Jerry Brown prepares for his trip to the United Nations summit on climate change in Paris, protesters gathered outside the Capitol on Thursday to say he hasn’t done enough at home in California. The issue of the governor’s request came to light as part of a lawsuit against the state by farmers who accuse the state of doing an inadequate job of preventing water pollution from oil and gas drilling. New research from Johns Hopkins University suggests pregnant women living near fracking wells in Pennsylvania are more likely to give birth prematurely or have high risk pregnancies. A U.S. Geological Survey report out Tuesday downgrades the fracking potential of California’s vast Monterey Shale oil deposits. The Colorado Supreme Court agreed Monday to decide whether cities can ban hydraulic fracturing, stepping into a high-stakes battle over whether local governments can impose tougher oil and gas rules than the state. California lawmakers say the report by the California Council on Science and Technology and the Lawrence Berkeley National Lab outlined the lack of information state regulators have about fracking. A California lawmaker has proposed a new label for food irrigated with what he calls “fracking water.” … Oil companies sell Central Valley farms millions of gallons of treated wastewater every day for irrigation. A small group of “fracking” opponents traded heated words with an even smaller number of oil industry supporters Saturday morning on the Panorama Drive bluffs in northeast Bakersfield, during an airing of differences over the controversial oil extraction technique. The Board of Supervisors called today [July 28] for a detailed inventory of all oil fields operating within Los Angeles County, along with recommendations to ensure consistent regulation. The hunt for life is part of a much broader effort called the Marcellus Shale Energy and Environment Laboratory, or MSEEL. … Researchers will track air and water quality and measure the environmental effects that have made fracking controversial. The California Coastal Commission will insist that Long Beach officials and their corporate partners running the city’s oil islands obtain an additional permit before following through on proposals to “frack” 13 local oil wells. Gov. Jerry Brown says he’s created a panel to study how California should monitor hydraulic fracturing for oil. The peer-reviewed study from the California Council on Science and Technology was required as part of fracking legislation the state passed in 2013. In the end Senate Bill 4 regulating hydraulic fracturing pleased neither environmentalists nor the oil and gas industry, but supporters argue it imposes needed oversight by requiring well permits, disclosure of what chemicals are used, water testing and studies of fracking’s impact. Environmentalists Tuesday called on Gov. Jerry Brown to halt plans for months of hydraulic fracturing in the waters off Southern California, warning that it could lead to chemical pollution or an oil spill. Looking not just at drilling jobs but at all related jobs — truck drivers, truck manufacturers, petrochemical engineers and more — [Harvard economist Michael] Porter says the rise of fracking has added 2.7 million jobs to the economy, most of them with good wages. Host Al Letson talks to Marketplace energy reporter Scott Tong about George Mitchell, a man many refer to as the father of fracking. The Environmental Protection Agency has found no evidence that fracking has let to widespread, systemic pollution of water. Correspondent Jeff Brady tells NPR’s Rachel Martin what the report means. Oil industry supporters rejoiced Thursday when a newly released draft of an Environmental Protection Agency report found no evidence that hydraulic fracturing does widespread damage to drinking water. Gov. Jerry Brown may prove to be the greenest government official in American history — emphasis on “may.” … But Brown continues to support fracking in the state’s oil patch, and oil production increases. … And even worse, fracking in a time of drought is a remarkable obscenity. After a relatively brief public hearing Tuesday, the Butte County Board of Supervisors approved an ordinance that would ban the storage or disposal of fracking waste within the county. One month after mounting a legal challenge to San Benito County’s ban on the controversial oil exploration practice of fracking, a Southern California oil company has withdrawn its lawsuit. When Sen. Fran Pavley pushed the toughest fracking regulations in the nation through the Legislature in 2013, she insisted on requiring a statewide environmental impact review of the practice. The Obama administration issued its first major fracking rules on Friday with standards for wells on federal and Indian lands, requiring disclosure of chemicals and covered storage of waste. More data and research are necessary to best understand the potential risks to water quality associated with unconventional oil and gas development in the United States, according to a recent U.S. Geological Survey study. “We mined the national water-quality databases from 1970 – 2010 and were able to assess long-term trends in only 16 percent of the watersheds with unconventional oil and gas resources,” said Zack Bowen, USGS scientist and principal author of the article that appears in American Geophysical Union’s Water Resources Research. An oil company has sued to block San Benito County’s voter-approved fracking ban in a move that could affect the growing trend of California cities and counties’ efforts to stop the controversial oil drilling practice of hydraulic fracturing. It’s California’s other water problem – and, like the drought, it poses a profound threat to our future. Every year the state’s oil industry produces some 130 billion gallons of wastewater. A paper published today [Feb. 19] in Science provides a case for increasing transparency and data collection to enable strategies for mitigating the effects of human-induced earthquakes caused by wastewater injection associated with oil and gas production in the United States. An ordinance to ban fracking that the Board of Supervisors voted last April to have their staff create, died Tuesday. 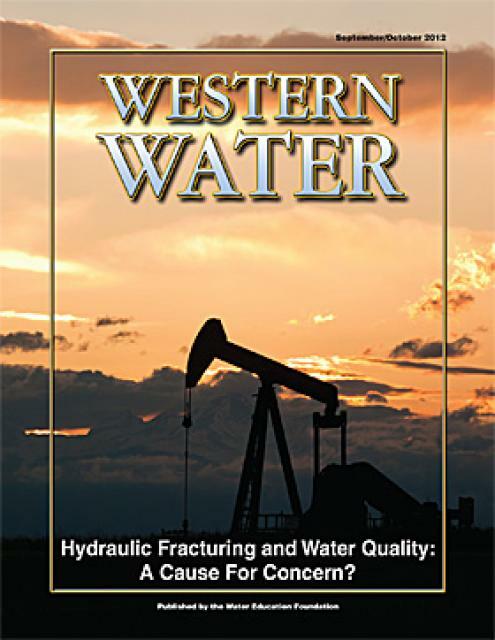 The wastewater from oil drilling, hydraulic fracturing and other extraction processes is supposed to be injected only into wells where the groundwater is already too toxic to be used for drinking or irrigation, even if heavily treated. Commentary: Can Jerry Brown truly be a climate action champion if he does not reject fracking? California Gov. Jerry Brown has done more to fight climate change than perhaps any other elected official in the United States. At the end of last year, Gov. Andrew Cuomo banned hydraulic fracturing in New York, citing the threat it poses to public health. … Here in California, however, fracking is already happening and is poised to spread more widely. Already regulars at the Capitol from protests during events like the State of the State address, Californians Against Fracking will once again be on the north steps at 11 a.m., calling upon Brown to follow New York Gov. Andrew Cuomo’s lead and halt fracking. A coalition of environmental groups concerned over the growing use of fracking by the oil industry in Ventura County and California met in Oxnard on Wednesday night, asking the crowd to gather in Oakland in February to protest the practice. Methane is emitted by cattle, landfills and leaky natural-gas pipes, and the technology for reducing it is well within our grasp. … Fracking is a major source of methane emissions as well. A state scientific review of what’s known about fracking in California finds the controversial oil and gas production technique is used in nearly half of all new wells, particularly in four Kern county oil fields in the southern part of the San Joaquin Valley. California has shallow, vertical fracking wells that require about 140,000 gallons of water per well to extract oil. That’s millions of gallons less than other states. But the fluids contain more concentrated chemicals. About 20 percent of California’s oil and natural-gas production uses hydraulic fracturing — with almost all of it happening in one corner of the San Joaquin Valley — according to the most authoritative survey yet released of fracking in the Golden State. Hydraulic fracturing unlocked oil at about half of the new wells launched in California over the last decade, and the practice will likely expand in a chunk of the San Joaquin Valley, according to a new study required by the 2013 law to regulate the practice. Not long after two mild earthquakes jolted the normally steady terrain outside Youngstown, Ohio, last March, geologists quickly decided that hydraulic fracturing operations at new oil-and-gas wells in the area had set off the tremors. President Obama’s chief custodian of federal lands says local and regional bans on fracking are taking regulation of oil and gas recovery in the wrong direction. “I would say that is the wrong way to go,” Interior Secretary Sally Jewell told KQED in an exclusive interview. Handing environmentalists a breakthrough victory, New York plans to prohibit fracking for natural gas because of what regulators say are its unexplored health risks and dubious economic benefits. … Environmental groups hope the New York decision will influence Gov. Jerry Brown, who has largely supported fracking. Gov. Jerry Brown and the other West Coast leaders – Oregon Gov. John Kitzhaber, Washington Gov. Jay Inslee and British Columbia Premier Christy Clark – who have pledged to solve global warming deserve a heartfelt “thank you” from the people of California and around the world, especially as Congress stalls on climate change. An environmental group sued the federal government on Wednesday for approving the use of hydraulic fracturing – fracking – on oil platforms off the Southern California coast. If you were plotting the epicenter of a daring trend or gathering the vanguard for a revolutionary charge, San Benito County might not be the first place you’d start. … But after a stunning election victory, residents of this farming region find themselves on the sharp edge of a growing movement to ban hydraulic fracturing via local voter initiatives. 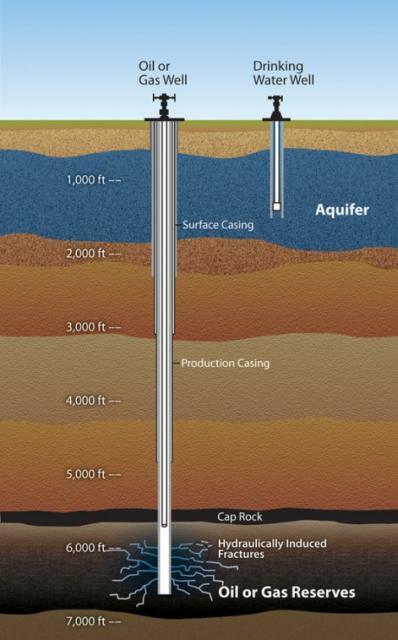 Studies by the U.S. Geological Survey and university researchers suggest that the increased number of temblors coincides with the injection of wastewater deep underground, which is part of the process in hydraulic fracturing. Environmentalists and energy boosters alike welcomed a federal compromise announced Tuesday that will allow fracking in the largest national forest in the eastern United States, but make most of its woods off-limits to drilling. Gov. Jerry Brown should step up his leadership in the debate over fracking. Two lawmakers who want Los Angeles to bar hydraulic fracturing and other kinds of “unconventional drilling” at oil and gas wells are pushing back after city staffers cast doubt on the idea, urging them to swiftly draw up rules that would bar such practices. Mendocino County voters have overwhelmingly approved a ballot initiative banning fracking in the county, joining San Benito County in saying no to the controversial method of extracting oil and gas from deep within rock formations. California voters in San Benito and Mendocino counties, which lie on the Monterey shale field, voted to prohibit fracking. But voters in Santa Barbara County defeated a similar initiative. San Benito County voters on Tuesday approved a groundbreaking ballot measure that outlaws the controversial oil extraction technique known as fracking. In Northern California’s San Benito County, a proposed ban on the oil extraction method known as fracking was approved by voters, but an anti-fracking measure in Santa Barbara County was defeated. With 100 percent of precincts reporting early Wednesday morning, Measure J passed and made San Benito County the first county in California to pass a fracking ban through voters. Voters in three coastal California counties vote Tuesday on whether to ban fracking and other intensive oil production, even as slumping prices globally are leading companies to start to scale back on production. As one of two counties with fracking bans on the local ballot this November, San Benito County has also become the site of a heated political battle between oil companies and anti-fracking ranchers, farmers, and residents. A similar fight is going down in Santa Barbara County, where oil companies have funneled $7.6 million into a campaign against Measure P, a citizen’s ballot initiative that would ban future high-intensity petroleum operations on unincorporated county land. When President Ronald Reagan was pushing for offshore oil drilling on the edges of Monterey Bay in the mid-1980s, Santa Cruz voters fought back, approving a ballot measure that banned construction of all storage tanks, pipelines and other oil equipment in the city. … Now, nearly 30 years later, the same David vs. Goliath tactic is being used farther from shore. In greater numbers by the month, residents across north Orange County are calling for an end to fracking, joining a growing chorus of Californians demanding a stop to the controversial oil drilling practice. State authorities have fined two oil companies a total of $476,784 for illegally sending salty fluids and drilling wastes into unlined pits, including fluids from controversial hydraulic fracturing. The U.S. fracking boom is getting even bigger with advances in drilling techniques that are making oil and natural gas wells more productive.